A hospital supported by Doctors Without Borders (MSF) in the town of Maaret al-Nouman in rural Idlib was hit earlier today by Russian air airstrikes. At least seven people were killed and many more wounded in the deliberate attack on the hospital. The hospital was completely destroyed, and the fate of at least eight members of staff is still unknown. More than 120 humanitarian organizations and United Nations agencies issued a joint appeal today urging the world to raise their voices and call for an end to the Syria crisis and to the suffering endured by millions of civilians. “Now, the war is approaching its sixth brutal year. The bloodshed continues. 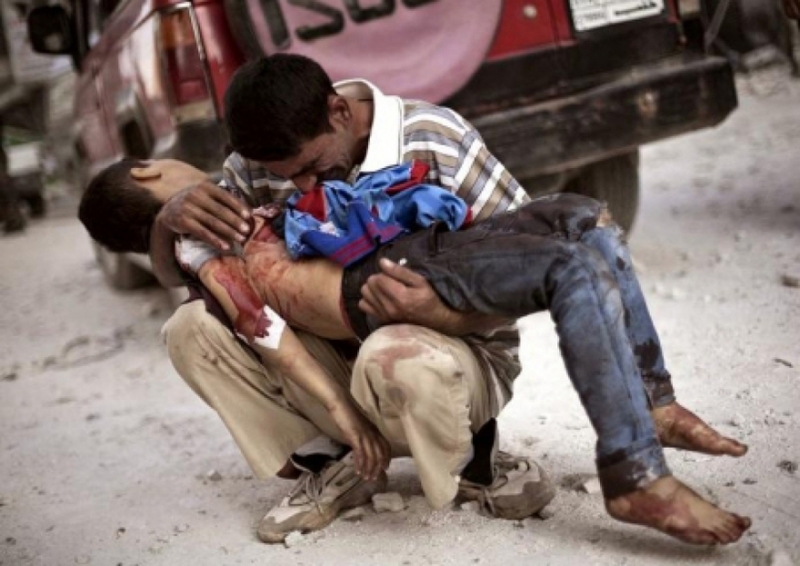 The suffering deepens,” said the appeal, which is published on the UNICEF website. “So today, we – leaders of humanitarian organizations and UN agencies – appeal not only to governments but to each of you – citizens around the world – to add your voices in urging an end to the carnage. To urge that all parties reach agreement on a ceasefire and a path to peace,” the appeal went on. 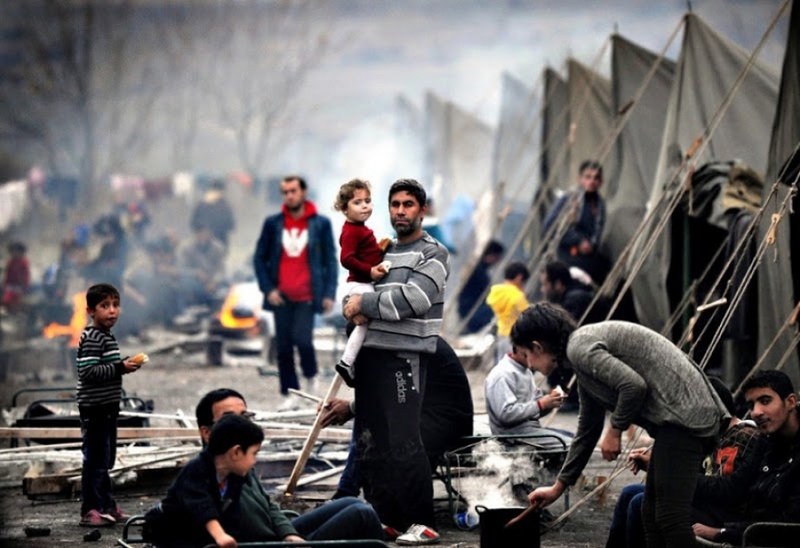 The organizations called for “those with the ability to stop the suffering … to take action now.” It stressed that such action should include “unimpeded and sustained access for humanitarian organizations to bring immediate relief to all those in need inside Syria. “These airstrikes and their timing reflects the Russian vision of the solution, exactly the same vision of the Assad regime which has pursued a military solution and systematic killing since day one,” Hashemi said. He points to attempts by some parties “to impose a solution in which Bashar al-Assad’s will survive in power, adding that the Syrian people rejects giving Assad any role in Syria’s future, even for a single day. France will submit a new draft resolution to the UN Security Council calling on the Assad regime to stop using barrel bombs as well as condemning other “indiscriminate attacks” against civilians, Foreign Minister Laurent Fabius said on Friday. 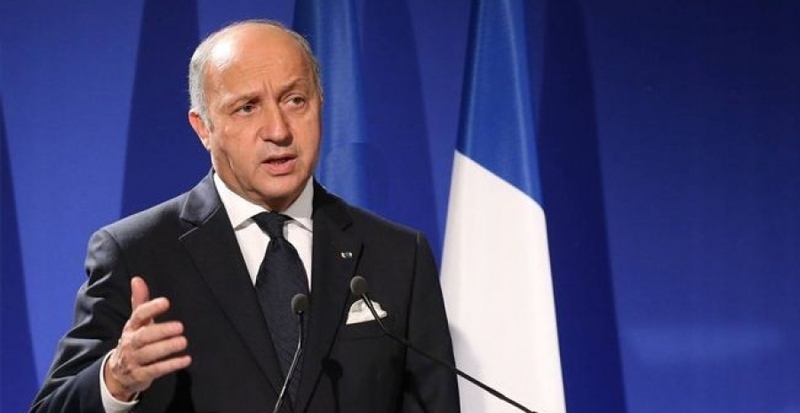 “We have to ensure that the regime stops bombing the civilian population,” Fabius told reporters in a joint press conference with the UN envoy to Syria, Staffan de Mistura in Paris. Fabius also announced that Paris will host foreign-minister level talks on Syria on Oct. 27. Russia’s foreign minister Sergei Lavrov will not be part of the talks, Fabius added. Fabius reiterated that Syrian President Bashar al-Assad could not be part of any solution since he is the source of the problem and even if he [Bashar al-Assad] apologize “to everyone in the world” it would not change it. “We considered that the person who is the principal one responsible for the chaos – 250,000 dead – cannot at the same time be the one (as the solution),” Fabius said. “We need it to be clear that the political solution will lead to another perspective, another reality than someone who is a criminal against humanity,” said the head of French diplomacy. 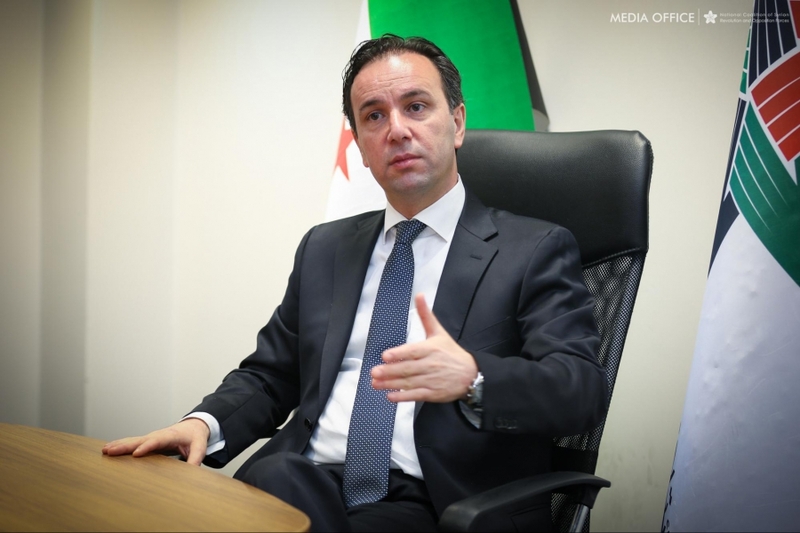 President Khoja urged NATO members meeting in Brussels to support the establishment of a safe zone in northern Syria to ensure protection for civilians from ISIS and the Assad regime. He also calls for finding new effective mechanisms to address the threats posed by ISIS and the Assad regime, which constitute the greatest threat to regional and international security and the main obstacle to any political solution in Syria. Khoja welcomes initiative Turkey has recently announced to fight ISIS and its intention to establish a safe zone in northern Syria, adding that the safe zone is an important step to ensure protection for Syrian civilians. The ruins of the ancient trade center of Palmyra, Syria. 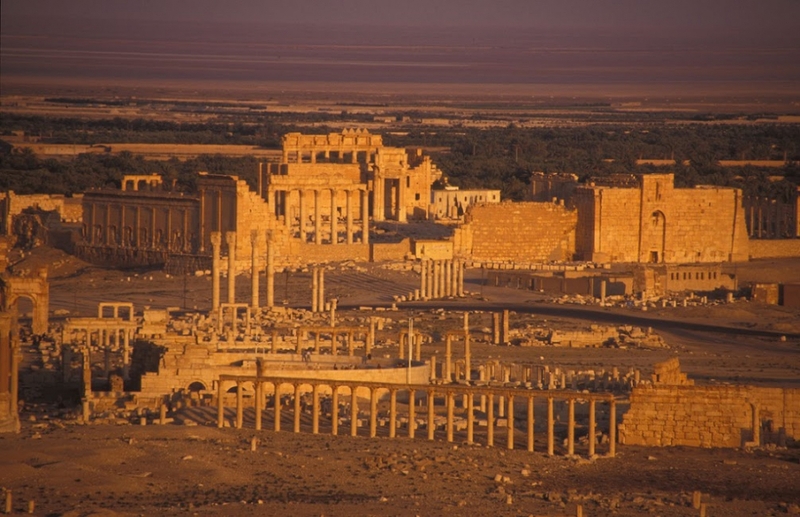 The Syrian Coalition warns of the risks that would result from ISIS’s advance on the ancient site of Palmyra, calling on UNESCO to act quickly to protect the site and sound the alarm of the risks resulting from the clashes between regime forces and ISIS nearby. 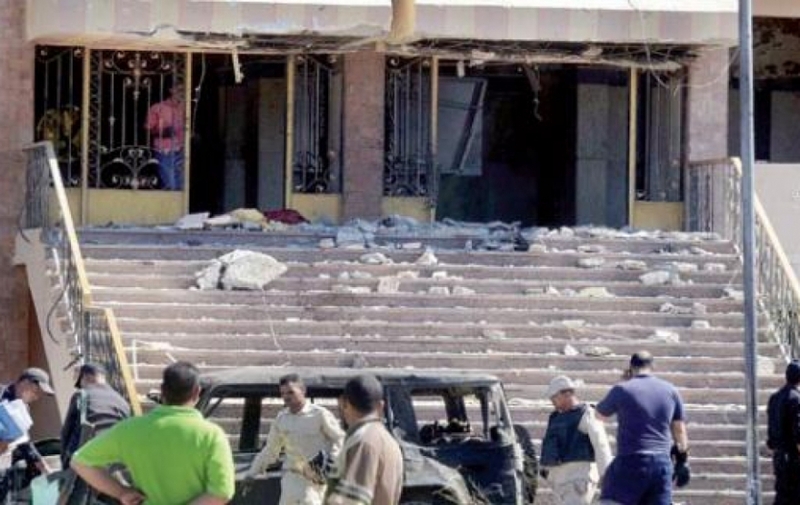 Spokesman for the Syrian Coalition Salem al-Meslet condemns the terrorist attack that targeted security sites in Sinai, Egypt, describing the attack as a vicious and criminal act. He extends condolences to the families of the victims, stressing that the Syrian Coalition is standing on the side of the Egyptian people and the Egyptian state in countering such crimes. 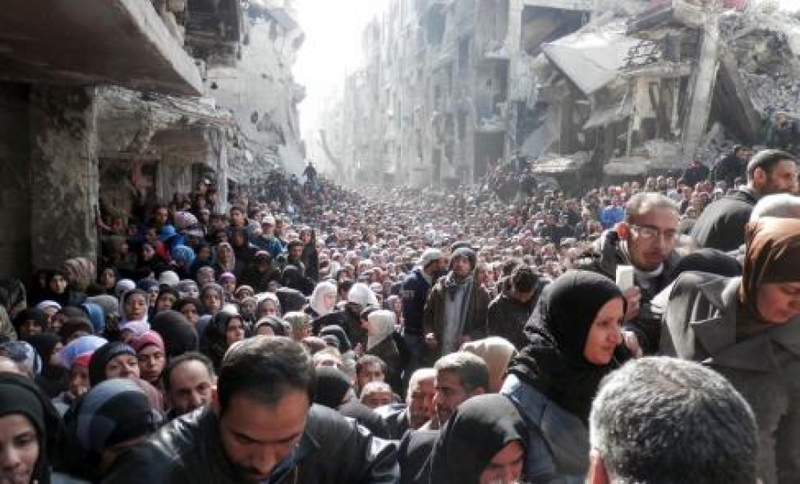 Residents of Al-Yarmouk refugee camp in Damascus sent a distress call to the international community and humanitarian organizations to take immediate action and work on alleviating their suffering caused by the crippling siege imposed by of the Assad regime. The residents of the district, mostly Palestinian-Syrians refugee, said that “our children are starving, and our suffering is further aggravated by the freezing cold sweeping across the region. We have no food or water, and people are melting down snow to get water.” There is also severe shortage of electricity, heating fuel, medicines, vaccines and baby milk as pro-regime forces prevent the entry of any relief aid to the opposition-held district. 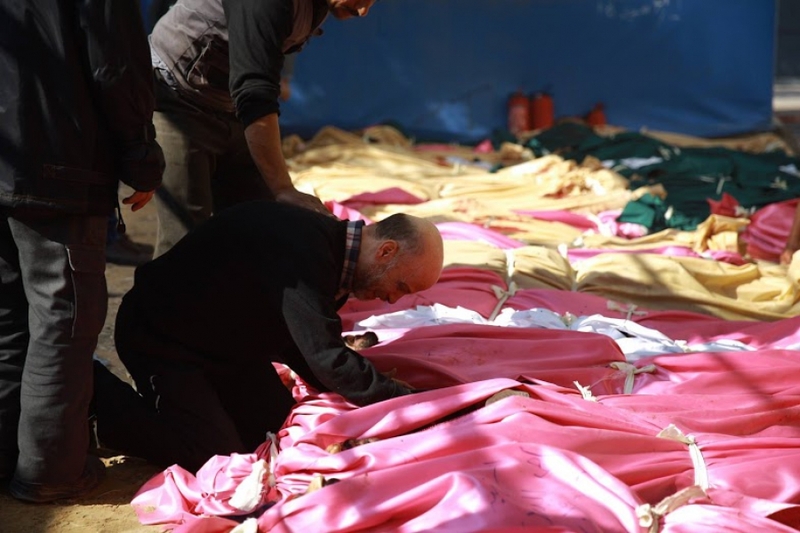 It is worth noting that the Work Group for Palestinian-Syrians, a rights group that follow up on the situation of Palestinian refugees in Syria, said that 2,589 Palestinian-Syrians had been killed since March 2011. Among the victims are 157 woman, 280 who died of torture, and 84 who were summarily executed. Nasr al-Hariri, Secretary General of the Syrian Coalition, calls on the international community and human rights organizations to “put an end to the grave violations and crimes committed by the Assad regime against detainees, and to impose urgent health control over detention centers. Informed sources from inside the 215th security branch said that security forces executed 131 detainees infected with pneumonic plague, a crime that Hariri described as “a heinous massacre that cannot be tolerated.” He stresses that the international community’s failure to take urgent steps to hold Assad and his security forces accountable for these systematic crimes is an indirect participation in these crimes. This horrific massacre brings to mind the massacre committed against 11,000 detainees who died under torture in Assad’s secret prisons and which was confirmed by the 55,000 photos leaked by a former military photographer. The ‏‎Syrian Commission for Transitional Justice‎‏ has released a report in cooperation with the Syrian Coalition to highlight the crimes of enforced disappearance towards the Syrian people. Ammar Tabbab, director of the Syrian Commission for Transitional Justice and director of the file of enforced disappearances, said that “the commission recorded more than 60,000 cases of forced disappearances in Syria, among them 6,722 people who were liquidated including, 1348 children and 1511 women. He also said that “while Syria is not the first country where forced disappearance is recorded, it is the only country where an entire community has been forcibly disappeared,” citing the regime forces’ closing off of whole areas near Wadi al-Daif army base in Idlib province. Survivors who managed to flee those areas were not given the chance to know the fate of their beloved ones. 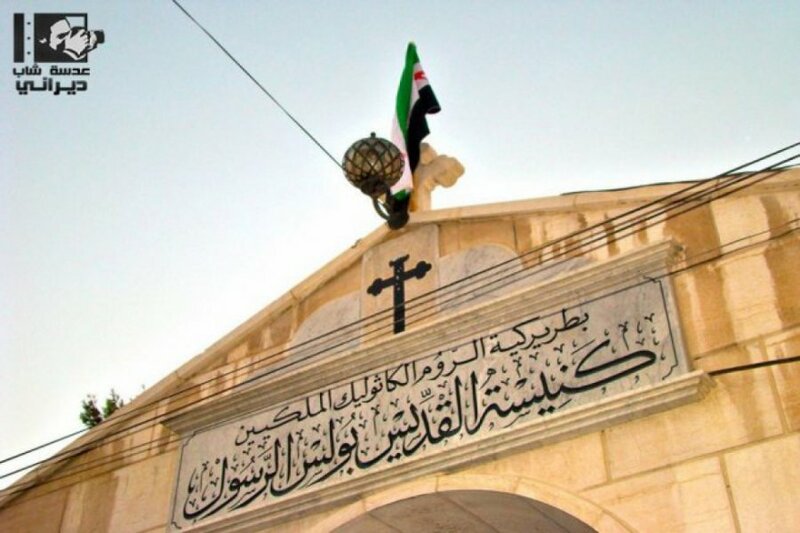 The Syrian National Council said in a statement released today that Al Raqqa massacre has revealed the extent of the international community’s tacit collusion with the Assad regime, which, out of total confidence that its crimes will go unpunished, continues to terrorize the Syrian people in an attempt to break their will and bring them to their kneels. It has also uncovered the de facto coordination between the two sides. Being fully aware that the goal of the international anti-ISIS coalition is not protecting the Syrian civilians, the Assad regime has been further emboldened to commit more massacres. While the people of Al Raqqa have been subjected to all forms of violations at the hands of ISIS, Assad’s unleashes his air force to rain death and destruction on the city under the eyes of the international anti-ISIS alliance whose warplanes do not leave the skies of the city. Nasr al-Hariri, Secretary General of the Syrian Coalition, condemns the massacre committed by Assad’s air force in the village of Bilan in rural Al Hasaka. 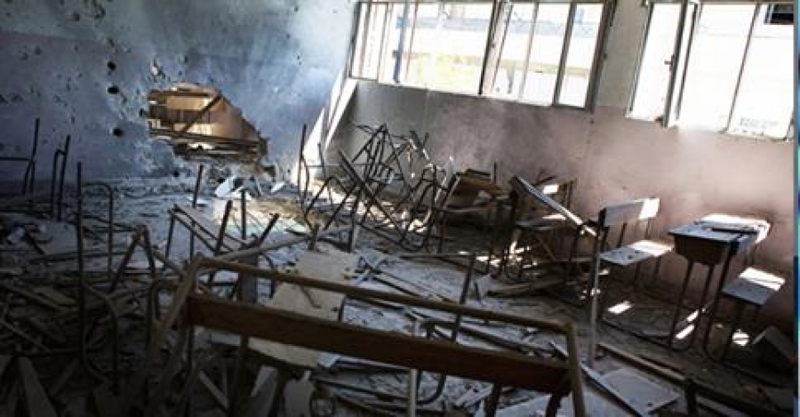 Activists said that 20 children were killed and dozens injured when Assad’s air force hit a school in the village. Hariri reiterates his calls on the international community to shoulder its responsibilities towards civilians and to stop turning a blind eye to Assad crimes. “As a result to heinous silence the Syrians killed by Assad have become mere numbers documented by rights group,” he said. He also calls for speeding up the arming of the Free Syrian Army and the establishment of safe havens along Syria’s northern and southern borders.